Explanation: Sometimes it looks like the Sun is being viewed through a large lens. 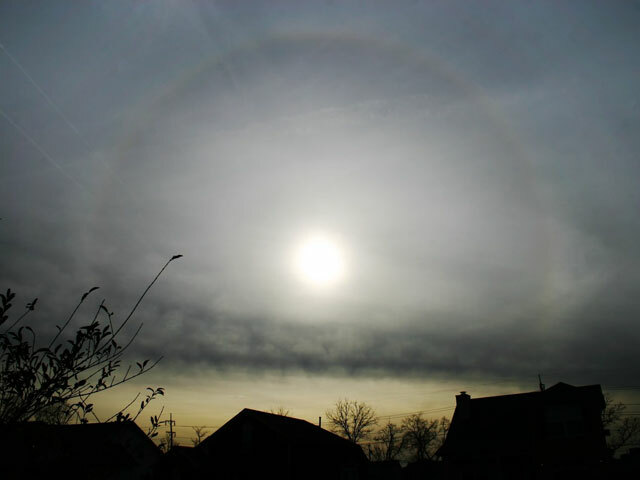 In the above case, however, there are actually millions of lenses: ice crystals. As water freezes in the upper atmosphere, small, flat, six-sided, ice crystals might be formed. As these crystals flutter to the ground, each crystal can act like a miniature lens, refracting sunlight into our view. The above image was taken near sunset last month near Nashville, Tennessee, USA. 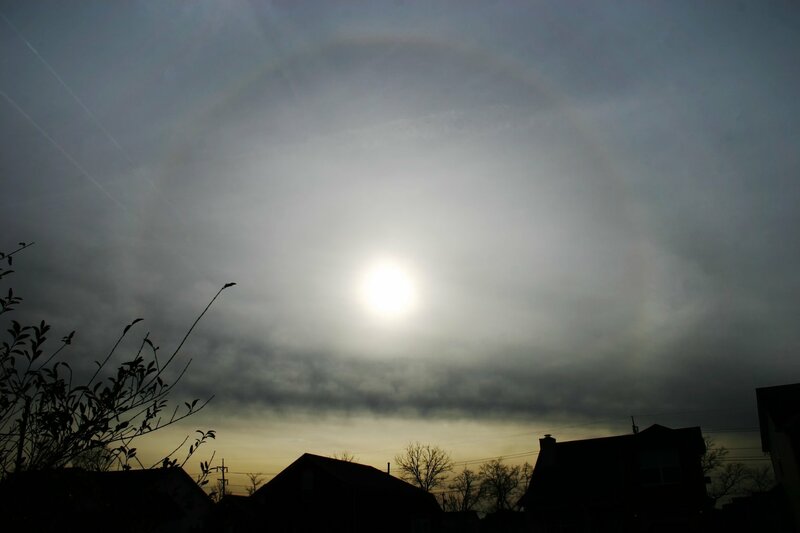 Dramatically visible behind neighborhood houses and trees and above the cloud deck is the 22 degree halo created by sunlight refracting off of atmospheric ice crystals.